This paper explores the impact of a collaborative inquiry framework on student and educators’ learning in a small, rural secondary school. Powerful transformations can take place when teachers embrace research-informed practices, developing their capacity as a community of learners to embrace meaningful learning. Learning is complex and complicated, and the ability to learn is one of the most important qualities for supporting being and caring across all cultures. Dr. Blye Frank, Dean of Education (personal communication, October 2, 2017) urges educators to act courageously, be present, and listen with open hearts and minds. During a presentation at UBC he reminded participants of the imperative to remove roadblocks and create a new narrative with learning communities. This paper outlines the narrative being written with a small rural secondary school in British Columbia through the disciplined approach framed by the Spirals of Inquiry (Kaser and Halbert, 2013). The Spiral is a framework that allows inquiring educators to structure questions, participate in collaborative conversations and learning while keeping students firmly rooted in the center of the learning. The rural secondary school described in this paper has just over 350 students, with approximately 65% of the school’s population coming from three First Nations communities and the remaining students coming from the town site. The First Nations communities each speak different Carrier dialects. 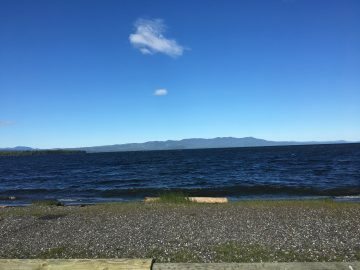 The school is less than a kilometre from a large lake that provided sustenance for many pre-colonization generations. The school is only a few blocks from a public elementary school, and almost two kilometres from the elementary band school. The rural community served is large, with many students having to commute long distances by school bus. This community has suffered a number of traumas in recent years, including suicides, murders, addictions, a large number of students in foster care, and gang related activities. Many of these traumas can be traced back to the intergenerational effects of the Residential school system and a history of colonization. Employment opportunities are rapidly declining as this is a resource-based community with fluctuating industries. An unsteady economy has also contributed to a number of individual and group traumatizing events. Families have become destabilized as adults leave the area to find employment, and guilt and shame have emerged as families’ lifestyles have declined. Some of these events occurred in the past and some are occurring in the present, but they need not be as influential in the future because as Dr. Frank stated, “You must listen to the stories people are telling about you, and your culture, and then you must influence the stories” (personal communication, October 2, 2017). This school is writing a new story, a story of hope, promise, and realizing possibilities. It will be a narrative in which students, educators, the learning community, and the larger community will be contributors. Scanning, as a phase in the Spiral of Inquiry, involves asking questions that lead to evidence about the learners, extending beyond performance data collections into a deeper awareness of what the learners believe about themselves, their learning environment and the people with whom they share their daily experiences. The purpose of scanning is to gain a deep understanding of learners’ daily learning experiences. Members of the three nations have difficulty relating to each other. Students tend to gather with other students whom they perceive as similar to themselves. Non-indigenous students have difficulties creating relationships with indigenous communities. Biases are firmly entrenched, generations old, and sometimes create violence and cruelty. Sadly and inevitably, students tend to bring community-held prejudices about education into the building, and the prejudice of low expectations has been established within the general education community. In their book Thrive: Schools Reinvented for the Real Challenges We Face (2017), Hannon and Peterson include a quote from Larry Rosenstock, founder of the High Tech High Schools in San Diego, that resonates: “At best our schools perpetuated race and class inequality. At worst, they promoted it, by tracking students by ‘ability’ and ‘vocation’, which in truth were a proxy for their skin colour and the education level of their parents” (p. 84). Although the school has current and relevant resources for supporting this learning they need a coherent plan for embedding this learning across the curriculum. The development of this plan must include input from the wider community as well as the students and incorporate areas recommended in Canada’s Truth and Reconciliation report. The stories of the community need to be woven into the school’s curriculum. The school needs to make a deliberate, focused and coherent effort to incorporate reconciliation and addressing historical wrongs into students’ education. Often teachers and students are unaware of other learning experiences in the building. This creates a lack of coherence in what students are learning and the kinds of learning environments established in separate classrooms by individual educators. Capacity for open sharing about learning outcomes must be established. Students do not have a purpose for learning. They perceive that the curriculum being taught does not relate to the ‘real world’ and they are not learning what they need to learn to achieve success. The school has yet to accept the challenge of taking advantage of ‘place’ and has not developed a curriculum linking the school to the larger community. All members of the community need trauma support and need to learn how to be at school. Educators are suffering from second hand trauma as students relate their community experiences and seek comfort and help. Some teachers have become focused on the dysfunction in the general community and in response have emotionally charged reactions rather than developing growth mindset skills and strategies with self and students. Teachers feel dispirited and experience a sense of helplessness. Mental well-being issues amongst both staff and students need to be addressed. The next step of the spiral, focussing, allows educators to identify which area of change will create the highest impact for their learners. Educators in this school came to realize that the biggest impact on student learning would come from changing pedagogy: a shift in stance from teaching the curriculum to teaching what students’ need to learn. Designing learning is different than planning to address outcomes. Developing a hunch requires educators to courageously examine the ways in which they have contributed, sometimes unwittingly, to the current situation. This phase provides an opportunity to step back and develop clarity around the choice of focus: what it means to be a learner. Students are choosing to disengage from learning by walking away from classrooms, learning, and the school community in increasing numbers. They are not always leaving the school, but can be found quietly interacting with peers, reading, listening to music, or just walking the hallways. At other times the students are deeply entrenched in trauma and cannot learn, and feel they cannot ‘be’ in the classroom. Our hunch is that we need to help educators understand that pedagogy, not a variety of awesome events, is the basis for student engagement. Students need teachers to design learning and school environments collaboratively so as to avoid a plethora of isolated blocks of learning and disjointed, albeit well intentioned, events. The next step in the Spiral is New Learning. This is a crucial stage because better outcomes for students depend on teachers and leaders acquiring and applying new knowledge and/or skill sets. In order to meet students’ needs each educator is realizing they must help each other develop deeper learning experiences for students. A beginning step is to achieve a common understanding of students as learners. Growth mindset is a core component of this shift. All adults, including clerical, support and teaching staff have committed to examining their own growth mindsets, and exploring the possibility of creating a positive mindset for each member of the school community. The principal has generously supported this learning, providing common resources for everyone and paying for non-instructional staff to attend learning meetings. The school has started by examining Carol Dweck’s growth mindset strategies (2006, 2016) as a means of establishing stronger relationships that focus on the learners’ needs to develop a strong sense of grit and perseverance. Staff members are aware these strategies need to be woven throughout every day with common language so that every student continually hears positive messages around self as learner. All educators at this school are acknowledging a need to move from a view of education as something ‘done’ to students to an environment where students are partners actively participating in their own learning. In this school, teachers involved in the inquiry process are critically examining their realization that entrenched attitudes or beliefs about ‘school’ are determining educational outcomes. They are vocal as they discuss their new learning, creating change in views and values as they gently confront others by constantly moving the learners’ needs to the center of every decision. As they have gained confidence they have found agency and are offering to share this new learning and the associated strategies with all staff members. They have gained professional capacity with other staff members in the school building and across the district as they have shared their learning journey. Shared vulnerability, openness about successes and challenges, and a sincere desire to improve learning have created a deep-seated motivation for change. Even those staff members not motivated to change are realistic about the shortcomings of the current system. They acknowledge that the learning experiences being offered in classrooms are often outdated, geared towards developing skill sets for jobs of the past, not adequately meeting students’ needs for the present or the future. Teachers acknowledge that students are lacking essential literacies. They are realizing that continuously re-teaching students in similar ways has not produced success. The final stages of the Spiral of Inquiry, taking action and checking are about ensuring that new learning is creating new actions. The educators’ professional learning needs to have a direct impact on students. Educators need to know what evidence of changed learning they are looking for so they can monitor their impact. In this way, educators can ensure that their own learning is purposeful. At the time of writing, actions to address Growth Mindset were not yet designed as staff is still involved in making meaning together from their summer reading of Dweck’s work. Staff had the opportunity to attend two sessions with Dr. Linda O’Neill (UNBC faculty) last Spring and will continue to interact with her once a month during this school year. Dr. O’Neill provides trauma informed training and workshops on secondary trauma to local agencies in the regions as a way of supporting practitioners and will continue to build capacity with staff in the coming school year. Providing adult learners with the necessary skills to interact in a supportive manner with ongoing trauma will strengthen every learner in the community and will open the possibility of ensuring that the principles of Innovative Learning Environments can be embedded. This will support the work around growth mindsets. Teachers will not have to walk this learning journey alone. All members of administrative staff, including the superintendent, assistant superintendent, and school based principal and vice-principal have made a firm commitment to support this learning community. District staff are empathetic and aware of the shifts in thinking that the community is attempting to make. There is a huge possibility that students will lead the way, empathizing with adult learners as roles shift to a new mindset of ‘we are all learners, we are all teachers;’ a renewed, more sophisticated view of the interaction between educators and students. We see some evidence that teachers involved in the Network of Inquiry and Innovation (NOII) inquiries are designing units and lessons that are irresistible to their students. Students, instead of pausing at the door, are rushing in, regardless of whether they are assigned to this space at this time. The learning that is capturing the students’ attention is designed with big picture outcomes described in BC’s revised Social Studies curriculum. Teachers are ensuring that students are well-prepared to experience new learning. 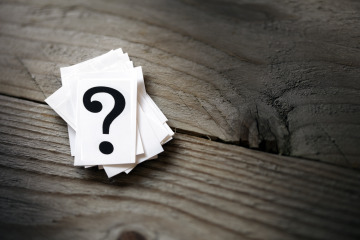 Students are developing inquiry questions connected to curriculum competencies and teachers are preparing them to explore these personal interests. Teachers are front-loading information for their students using spoken word verse, music videos, mixed media, human storytellers and technology. 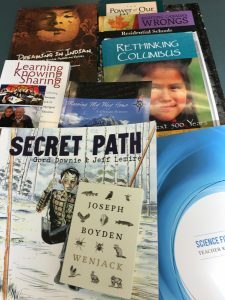 Resources such as Kairos’ BC Blanket Exercise and the authentic and highly personal stories of local Elders who experienced residential schools are helping educators meet the recommendations stated in the Truth and Reconciliation Commission of Canada Report in the section Recommendations for Educators (2015). Students are being given the opportunity to explore their own learning, acknowledge what they do and do not know, and develop a plan for finding out specific, important information that is urgent and necessary for their understanding of the world. The educators involved in this inquiry have implemented new strategies and are collaborating with each other and with students. Students are co-designing the learning but both adult and student learners need a wider skillset of tools. The OECD Handbook for Innovative Learning Environments (2017) confirms that these teachers are on the right track. Their newly developed focus requires that “learners should be capable of organising and monitoring their own learning, and able to assess what they have already accomplished and what still needs to be done” (p. 22). This is just as important as the learning of content. Next steps for this staff would be to engage students into a deep exploration of what their own learning needs are and the identification of ways to address these needs. The staff need to find a way to enter into this conversation with their students but they cannot do this alone. School staff needs the help of the wider community to gain a greater understanding of the community’s learning needs. Fryberg et al. (2016) state emphatically that our current education system may in fact be continuing the colonization of First Peoples culture and ways of being by imposing Western European beliefs of learning upon the community. Elders from the surrounding communities have been contributing to success at the school through an irregular, invitational presence but the school is now looking to formalize this role by having one Elder or community member present in the building daily. The school has advocated to the District for funding. This formalized role would create consistency and a deepening of relationship between the students and the Elder. Indigenous students need help in determining ways of blending school and community expectations around ways of being. By having a strong advocate on-site it is hoped that pathways to collaborative participation with any member of any community can be built. Another innovative action will be the development of a Forestry Resource Management class available to students in grades 10 to 12. The school owns a woodlot a half hour distance from the campus. At this time harvesting is contracted locally and the school receives a profit. Staff has met to design a local board-approved class that will provide meaningful, land-based experiences and teach everything from the bookkeeping aspects of the woodlot management, wildlife management on the lot, harvest, and replanting. A strong focus on indigenous practices around sustainability will be a focus, with local indigenous experts being asked to help design the course. There is huge potential for this course to foster students’ understanding of cultural competencies in land management. Students enrolled in the course will develop real-life skills that may lead to viable opportunities in this resource-rich environment. As a result of participating in the Spiral of Inquiry as a framework for professional learning, evidence suggests that educators in this system have begun to disrupt habitual thinking of entrenched everyday practices and are beginning to develop some deep understandings about what learning needs to look like. Prior to this inquiry work, staff had unquestionably adopted the stance of curriculum as the driver of what happens in the classroom rather than students’ learning needs, but now they are seeing that there is a huge need for students to develop self-direction. Teachers are redefining their role, now seeing themselves as activators, and as they learn new strategies and skills they are able to support students to develop their own skills as critical thinkers and problems solvers. These educators are using the Spiral of Inquiry to address both students’ and adults’ learning needs in a timely, sustainable manner. Accountability regarding learning outcomes for District reporting is happening through the continuous gathering of evidence of learning – educators need to know the students’ understandings of where they are at as learners, rather than imposing their own assumptions of where the learning is at. Discussions with students around learning are becoming part of the communication of student learning to parents, teachers and District personnel. Student voices are being heard at District level celebrations and the District is beginning to develop a learning community that truly embodies the belief that ‘we are all learners, we are all teachers.’ The Spiral of Inquiry framework has kept the adult learners focused on students’ learning needs and is giving important feedback to the teachers. System wide change is dependent on students, educators, and the greater communities’ awareness that transformational learning is taking place and an openness to changing practice. This is learning that informs and changes how we think. There will be constant and purposeful critical thinking as teachers examine emerging ideas and practices. This will create a new narrative for this school — one that is based on place, communal purpose, and students’ learning needs woven with curriculum learning. Deborah Koehn has had a varied career in Education. Her career has entailed many roles, that of classroom teacher, principal, consultant and currently as an instructor and Acting Coordinator of the Bachelor of Education program at UNBC. 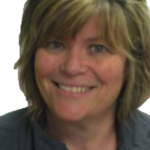 Deborah is currently also instructing in Vancouver Island University MEDL program, and working as a coach for the MConnell Family Foundation Research project focusing on Wellness within Education systems. As well, she works alongside colleagues in SD #91 focusing on teacher and student learning through inquiry. Deborah continues to stay grounded in the classroom, working with alongside classroom educators to develop inclusive, welcoming classrooms that celebrate individual learners. Throughout her career Deborah has passionately focused on creating equity and equality for all learners. Her experiences in rural districts, along with research, has deepened her enthusiasm and commitment to ensuring that all learners’ needs are being met. One of Deborah’s most coveted roles is being a regional leader for the Network of Inquiry and Innovation. Brock, A. & Hundley, H. (2016). The growth mindset coach: A teacher’s month-by-month handbook for empowering students to achieve. Berkeley, California: Ulysses Press. Child, K. (2017). Making things right: Connected learning matters [PowerPoint presentation]. Network of Inquiry and Innovation, Vancouver, BC. Cherkowski, S. & Schnellert, L. (2017). Exploring teacher leadership in a rural secondary school: Reciprocal learning teams as a catalyst for emergent leadership. International Journal of Teacher Leadership, 8(1),. Dweck, C. (2016). Mindset: The new psychology of success. New York: Ballantyne Books. Frank, B. (2017). Faculty of Education Transformative Education Leadership Program power point presentation, UBC, Vancouver, BC. Halbert, J. & Kaser, L. (2013). Spirals of inquiry: For equity and quality. Vancouver, BC: The BC Principals’ & Vice Principals’ Association. Hannon, V., Peterson, A. (2017). Thrive: Schools reinvented for the real challenges we face. London, England: Innovation Unit Press. McGregor, C., Halbert, J., & Kaser, L. (2017 in press). Leading for learning: District leaders as networked change agents. (Used with permission of authors). Courageous and essential work Deb.